Since 2016 Jennifer Felker has been the Geauga County Educational Service Center Superintendent and was named Lake County Educational Service Superintendent in December, 2018. She now serves as shared service Superintendent for the both Counties. In addition, Mrs. Felker also serves as the Executive Chair of the Lake/Geauga Information Technology Center (ITC), and Superintendent of iStem Geauga Early College High School. Prior to coming to Geauga County, Mrs. Felker was the State Associate Superintendent for Public Instruction for the Ohio Department of Education and was responsible for overseeing the Division of Learning: Center for Curriculum and Assessment, and the Center for Student Support and Education Options. 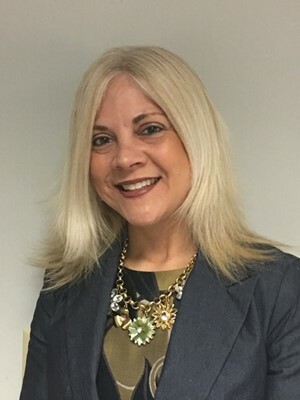 She has also served as Director of Programs and Services for the Orange City School District, and previously was the Assistant Superintendent and Superintendent Pro-Tempore of the Educational Service Center of Cuyahoga County. Prior to that she was the special education supervisor at Olmsted Falls and Maple Heights City Schools, a teacher and an elementary principal in Brooklyn City Schools, and teacher for Toledo public schools. Greg Slemons joined the Lake County ESC as Treasurer in April, 2019. Debra L. Burke PHR, SHRM-CP is the Director, Human Resources and Operations for the Lake County Educational Service Center. She is responsible for the oversight of all facets of human resources for the LCESC and supports member districts with human resources projects. Additionally, Debra handles LCESC business agreements and contracts, information technology, and facility management. Debra began her career at Reliance Electric, a Rockwell Automation Company, responsible for payroll, the HRIS/Payroll systems and accounting functions. She was employed at Cleveland Municipal School District for 8 year as an HR Manager responsible for compensation, staffing, licensure, EMIS and historical records retention. Additionally, Debra worked at Marous Brothers Construction and Cardinal Commerce as the department head of human resources. Debra holds Bachelors of Arts in Accounting and Business Administration from Malone University. She obtained her PHR in 2005 and her SHRM-CP in 2015. She joined the Lake Geauga SHRM in 2004, joined their board in 2009 and has served as the Vice-President of Membership since 2010. Additionally, Debra holds the position of Treasurer for B.A.L.D. Run Inc., a non profit organization helping low income diabetics in Lake County, since its inception in 2006. Tippi Foley is the Director of Early Childhood for the Lake County Educational Service Center. She oversees special education services for preschoolers that qualify as having an educational disability, student programming for typically developing preschoolers, as well as developing new programs. Ms. Foley joined the Lake County Educational Service Center in 2008. Foley spent her first twelve years in education at Auburn Career Center where she worked as a Teacher, Career Pathways Counselor, and Enrollment Specialist serving eleven school districts throughout Lake and Geauga Counties. Prior to her work at Auburn, Ms. Foley was an instructor for the Dr. James H. Porter Center for Science & Mathematics in addition to coaching softball and soccer for Madison High School. Ms. Foley is a certified Elementary and Career Based Intervention Teacher. She received her Bachelor’s Degree from Kent State University in 1992 with a major in Psychology and an Administration License from Cleveland State University. Denise DiMatteo is a Special Education Supervisor for the Lake County Educational Service Center. She currently oversees both the PHP at Crossroads and LEAD at Lake Erie College programs. Denise also conducts CPI Trainings and coordinates state-wide testing for all LCESC programs. Denise started her career in education as a school psychologist, where she worked in various school settings within Ashtabula and Cuyahoga counties for fourteen years. She then transitioned to Supervisor of Special Education for six years for the Cuyahoga County Educational Service Center. Denise then accepted a position for the Warrensville Heights City Schools as the Special Education/Pupil Services Director for four years before coming to the LCESC in 2015. Denise received her B.A. in Psychology from Cleveland State University and her M.S. in School Psychology from Miami University. In addition, Denise obtained her Pupil Personnel Administration License from Cleveland State University. Kelly Minnick is the Director of School Nutrition Services for the Lake County Educational Service Center. Mrs. Minnick currently serves Berkshire Local, Newbury Local, Madison Local, and Painesville City School Districts as the Director of Nutrition Services. Prior to joining the LCESC, Mrs. Minnick served as Director of Nutrition Services for Painesville City and Madison Local Schools and began her career in Riverside Local School District. Kelly created the first ever school food service program at Fairport Harbor Schools in August of 2012 and has also consulted with Ashtabula Area City Schools. Mrs. Minnick has 25 years of school food service experience, setting high standards for herself and the school districts' Nutrition Services staff. Her goal is for all students to have well-balanced, enjoyable meals each day at school. Kelly attended Bowling Green State University where she received a Bachelor of Science in Business Administration Degree in Hospitality Management. In addition, Kelly holds a School Business Manager's License from the Ohio Department of Education and a School Nutrition Specialist credential from the School Nutrition Association. Pat McKenrick is the Project Administrator for the Lake County Educational Service Center. He oversees the Transportation Department. The Transportation Department currently operates five school vans which are used to transport students before and after school to programs within and outside of the students’ districts. The LCESC also runs two light transit vehicles with lifts for adult programming. In addition to his Transportation responsibilities, he is responsible for Substitute Teacher Training, and works closely with other agencies in Lake County to promote educational opportunities to the various districts’ students. Mr. McKenrick joined the Lake County Educational Service Center in September 2015. He spent his first 15 years as a Social Studies teacher in the Riverside School District and 2 years as a teacher in the Kirtland School District where he became the Principal of Kirtland High School for 5 years. Following his time in the Kirtland School District, Mr. McKenrick was an Assistant Principal in the Riverside School District for 4 years, and completed his last 9 years as a public school administrator in the Mentor Public Schools. Mr. McKenrick held the positions of Principal of Memorial Middle School for 4 years, Supervisor of Student Services for 2 years and Assistant Principal at Ridge Middle School for 5 years. Throughout his 35 years in public education, Pat McKenrick was very involved in coaching. He coached football, basketball, and track at the varsity level. Mr. McKenrick received his Bachelor’s Degree from Edinboro University of Pennsylvania in 1980, his Master’s Degree in 1987, and Administration Certification in 2002 from Kent State University. Pat McKenrick lives in Mentor, OH where he is married to his wife Ellen and has 6 children Katie, Jake, Morgan, Allison, Mason, and Peyton.